**These are estimated delivery times only, and unfortunately we are not able to guarantee them. Glitter girl will not be liable for any delay in delivery. In particular, orders placed during Sale or Promotional periods may be subject to delay. Orders placed before 11am AEST will be despatched the same day, and orders placed after midday will be despatched the following day. Tracking information will be available via a despatch email notification. Orders placed on the weekend will usually be processed within 24 hours of the next business day. Please ensure your delivery details are correct, as we are unable to re-direct packages once your order has been dispatched. If it’s not plastic, what is it made from? Almost anything can now be made with Biodegradable Plastics, such as: Chip Bags, Beach Toys, Backpacks, Computer bags, socks, shampoo bottles, 3D & sunglass frames, Pens, shopping bags & even the moulding on cars, and of course all shapes and sizes of Glitter! Super duper amazing that so many things can be moulded and made with Biodegradable “Plastics”. How long does it take to degrade? The time it takes products to biodegrade can vary greatly (from months to years), depending on the environmental conditions you are in. It will vary depending on different factors, like whether you’re swimming in the ocean or dancing in the desert, whether you apply it with an organic oil base or a dry brush, and how humid the climate is in your geographic location. In general, degradation requires four things: heat, water, oxygen and microorganisms. The more of those four things that are present in the environment, the faster the glitter will degrade. There are dozens of factors that will determine the speed of degradation. For example, in the ocean, currents, temperature and types of algae present will all impact the rate at which it breaks down. Generally speaking, it will degrade in the ocean faster than in the desert! Will it degrade inside the package? No. Our Glitter Girl products are very stable. It is a good idea to keep your glitter mixes cool and dry and clean. The best way to apply it is to use a makeup brush to keep the container free of bacteria that could be transferred from your skin. Unless the container gets moisture and microorganisms inside, the glitter will not degrade in the package. There are European (EN13432) and American (ASTM D6400) standards for compostability of a material. These include requirements for material characterization (including heavy metals), biodegradation, disintegration, and eco-toxicity. The biodegradable film used in our products is certified to both EN13432 and ASTM D6400 norms. It is also certified by AIB Vinçotte for home compostability according to OK Compost Home standard. Is it safe for my face? Yes. 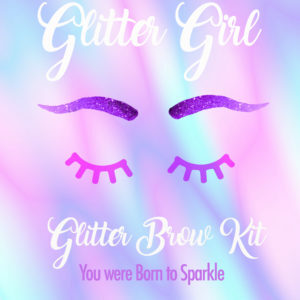 Glitter Girl products are cosmetic grade so they are made with the kind of manufacturing quality and cleanliness standards expected for something you put on your skin. Be a street savvy, conscious glitter buyer! 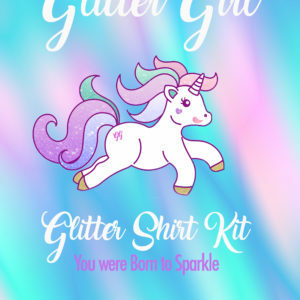 Know that other face and body glitter brands may sell products containing craft (Plastic) glitter. 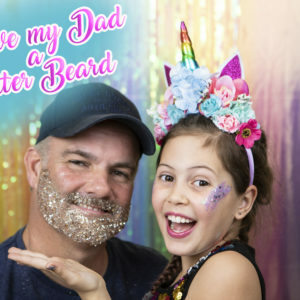 It’s not a great idea to put craft glitter near your eyes. Even cosmetic glitter can become an irritant and scratch up your corneas if it gets in your eyes, which can be painful. By using cosmetic-grade glitter you are reducing this risk, but you cannot totally eliminate it. When applying glitter to your face, keep it above the eyebrow and along the cheekbone for the smallest risk of getting it in your eyes. If you feel something scratchy in your eyes –DON’T RUB. Use eye drops and irrigate the eye to rinse it out. If the irritation persists, go see your ophthalmologist. How is cosmetic glitter different from craft? 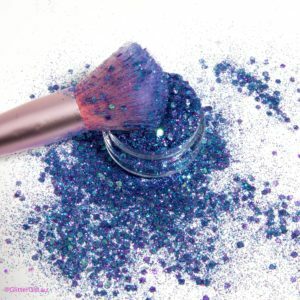 Glitter Girl products are safe for your face because they contain cosmetic grade glitter. Cosmetic grade glitter is higher quality, and manufactured with stricter standards for cleanliness, than craft glitter. It is also 30-40% softer than traditional plastic glitter, so it feels better for your face. Of course, you can still use our glitter for eco-conscious crafting! Dab some oil or oil-based makeup remover on a cotton round or tissue to remove glitter. When removing glitter from your face, swipe out and away from your eyes. 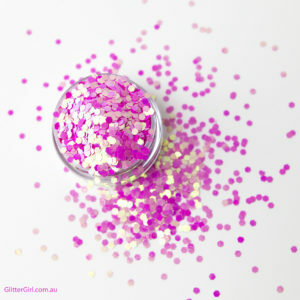 Use a fresh side, or fresh round, for each swipe until the glitter is gone. If you have glitter stuck between your eyelashes, use a Q-tip dipped in oil or remover to get rid of it. To maximize the shelf life of your glitter it is a good idea to keep your glitter mixes cool and dry and clean. The best way to apply it is to use a makeup brush instead of using your hands to keep the container free of bacteria that could be transferred from your skin. You can keep it for at least two years this way. After pay is Now Available!